Meet Lesly Guerra. 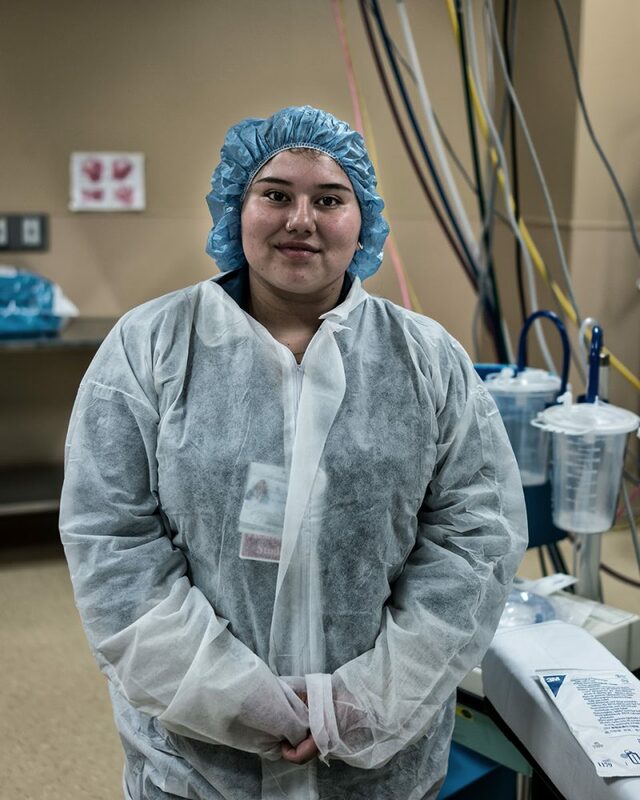 Lesly attends MetWest High School in Oakland and is a student in Alameda Health System’s (AHS) HealthPATH program. HealthPATH is a workforce development initiative of AHS that prepares youth and young adults for healthcare careers. “I’m a baby person. I love babies. When I was younger, I would go with my mother to her doctor appointments when she was pregnant with my little brother. He was born here in Highland Hospital. I was so excited to come back and help these nurses during my internship. Every time I walk in here, I feel like I’m somebody who knows this hospital. It has been a great experience. I have been doing HEAL internships for two years—every Tuesday and Thursday through my high school, MetWest. I am really focused on becoming a registered labor and delivery nurse. At first, I was interning in the emergency room. A patient passed away and I kind of had a breakdown because it was so upsetting. I talked with an ER nurse who explained that there are many different departments. That is when I realized I want to work in labor and delivery. We go through rotations, and I worked hard to make myself known in that department for doing a good job. Though both my grandpa and my mom never fulfilled their own dreams to work in health care, every day they tell me how proud they are of me. Through internships and other work‐based learning experiences at AHS’s network of hospitals and wellness centers, HealthPATH exposes young people to career opportunities in the healthcare field while promoting academic excellence and teaching skills for life success. HealthPATH’s ultimate goal is to cultivate a pipeline of diverse and culturally competent healthcare workers who will become the future workforce of AHS. To learn more about Lesly and other HealthPATH students visit the Oakland Youth Story Bank Website.